Home Categories Vitamins & Supplements Large Comfort Wrap Adjustable Harness-1"
Large Comfort Wrap Adjustable Harness-1"
You know the look. The look that says, "Take me outside, pleeease." Luckily, the Comfort Wrap Adjustable Harness has a snap-lock buckle and simple design that make it easy and fast to get your dog ready for a walk. 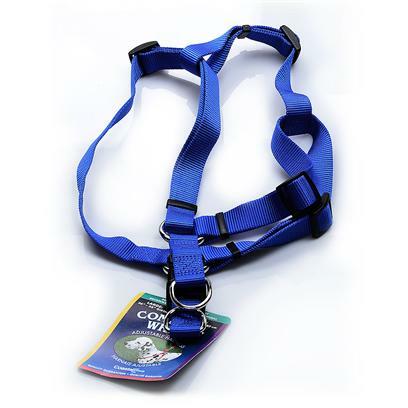 Three adjustable slides help you customize the harness, and the two metal D-rings, which attach to the leash, make Comfort Wrap one of the strongest and safest adjustable harnesses available. Your eager pup will be happy to wear the Comfort Wrap. See instructions on packaging to ensure comfortable fit for your dog.